In most homes, the clothes dryer has become an necessity. And for families with children, laundry often seems never-ending. But, many families don’t know that clothes dryers can be a leading cause offires in the home– approximately 15,000 every year. A little preventative maintenance can keep them in good working order. One of the most common causes of dryer fires is lack of maintenance. When lint traps aren’t cleaned as often as they should be, the resulting build-up in the screen or other areas can cause the dryer to perform poorly, operate at elevated temperatures and possibly overheat – with dangerous consequences. Vent systems must also be checked and cleaned to maintain proper air flow for the same reasons. Problems may also occur if consumers place improper items in their dryers, such as foam backed rugs or athletic shoes, or vent their appliances with plastic or vinyl exhaust materials. Make sure that whatever you put in your dryer is approved and safe to place in a dryer. When in doubt, check the washing instructions on the tag of the clothing or consult the manufacturers website for more information. Clean the lint trap before and after drying each load of clothes. Don’t forget to clean the back of the dryer where lint can be trapped. 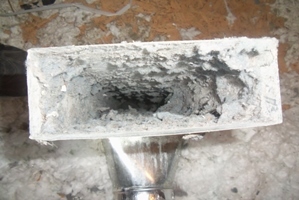 The interior of the dryer and venting system should be cleaned periodically by qualified service personnel. If you notice the drying time is longer, clean the vent system thoroughly to ensure proper airflow. Replace plastic or vinyl exhaust hoses with rigid or flexible metal venting. Do not dry clothing/fabric on which there is anything flammable (alcohol, cooking oils, gasoline, spot removers, dry-cleaning solvents, etc.). Flammable substances give off vapors that could ignite or explode. Don’t forget to read manufacturers’ warnings in use and care manuals that accompany new dryers. Also, warning markings can usually be found on the inside of the dryer’s lid and take only minutes to read.